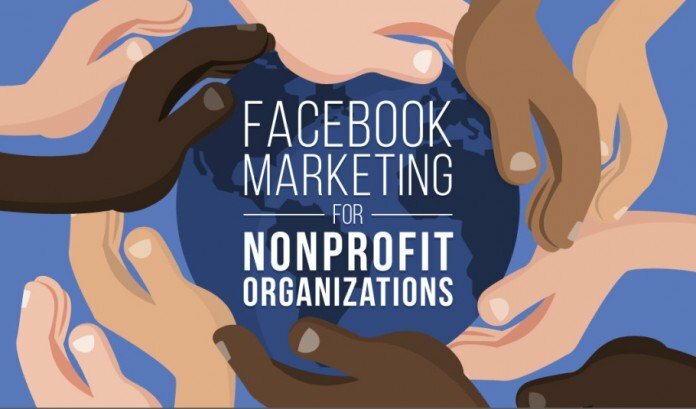 By this time, every nonprofit organization – regardless of size or mandate -- should have a Facebook page that features a steady stream of quality, relevant content such as campaign updates, photos of volunteers, event listings, contests, inspiring messages and quotes, and the list goes on. However, this is not all that nonprofits should be doing Facebook-wise, because the social media behemoth has recently launched a new and, from the initial looks of it, exciting and worthwhile website specifically for nonprofits at: nonprofits.fb.com. Essentially, Facebook’s new nonprofit-centric new website is designed to help organizations access and share knowledge, tips and strategies on using Facebook -- and social media in general -- to raise awareness, activate supporters and raise funds. As noted, the website is new (it officially launched on February 18, 2016), and so it will doubtlessly develop over time based on feedback. However, we are impressed by the quality and relevance of the information that is already available. Zuck & Co. appear to have done their homework when it comes to understanding what makes the nonprofit sector and culture unique and nuanced. Instill a sense of urgency by using deadlines and milestones, and running campaigns during certain times of the year. Experiment with messages to see which generates the most traction and attention. Use different tactics to incentivize and inspire action, such as donation matching (use the "Donate Now" Call-to-Action on your page), rewards, perks for certain donation levels, contests, giveaways, etc. Encourage donors to make a contribution on a special day, such as their birthday, anniversary, etc. Set-up registries so that couples heading down the aisle can make donations to a worthy cause in lieu of a wedding gift. Make it easy for donors to submit their donation stories and photos (such as the wedding gift idea noted above). These can then be posted to Facebook. Publicly thank donors by posting a thank you on Facebook, and tagging supporters. This is a great way to reach new potential donors as well, as fiends of anyone tagged may see the post and decide to donate. Rather than sending out a generic call for contributions, wherever possible make individual asks. There are two reasons why this last best practice – making individual asks – is so important. The first reason is that, contrary to popular belief, the primary reason that people donate is not necessarily because they are intrinsically motivated to do so. Rather, it is because they have been asked to donate. This basic gesture triggers thoughts and inspires emotions that often translate into a contribution. The second reason, is that using individual ask amounts is far much more effective than pre-set donation tiers (e.g. $50, $100, $200, $300, etc. ), or open-ended asks (“fill in the blank”). And that is where ExactAsk enters the picture, and why it is part of the fundraising solution. At ExactAsk, our scientifically-backed system uses sophisticated algorithms to determine the ideal ask amount for each donor amount based on the convergence of two essential variables: donor CAPACITY to give, and donor WILLINGNESS to give. The result are precise, individualized ask amounts that generate more donor revenue across any campaign type (i.e. email, direct mail) and donor segment (i.e. lapsed, one-time donors, repeat donors, etc.). To learn more about ExactAsk and discover how it can help your nonprofit increase revenue from current and future donors, get in touch by clicking here. To discover if you are effectively using your Facebook page to maximize donor value, read our article: “Increase Donor Engagement: 11 Facebook Tips for Nonprofits”.